The State Library of NSW (SLNSW) will display a manuscript by Indigenous writer, inventor and polymath David Unaipon and is preparing a case for it to be given UNESCO heritage listing, reports the Guardian. In 1926 Unaipon submitted the completed manuscript of ‘Legendary Tales of the Australian Aborigines’ to Angus & Robertson for publication. However, it was instead sold to William Ramsay Smith without Unaipon’s permission, forming the basis for Smith’s book Myths and Legends of the Australian Aborigines, which was published—without acknowledging the original author—in 1930. SLNSW acquired the entire Angus & Robertson archive in 1933, yet it wasn’t until 1995 that researchers realised that Unaipon’s manuscript was the basis for Smith’s book. Melbourne University Press published Unaipon’s Legendary Tales of the Australian Aborigines (ed by Stephen Muecke & Adam Shoemaker) in 2001, 34 years after his death. 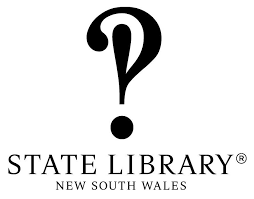 NSW state librarian John Vallance said that the original manuscript is a ‘uniquely important piece of evidence’. ‘David Unaipon’s story is a fascinating case history for anyone interested in the history of Indigenous culture in an imported European setting,’ said Vallance. The manuscript has gone on public display at the library for the second time since its acquisition, and will appear alongside the library’s six existing UNESCO-listed works.